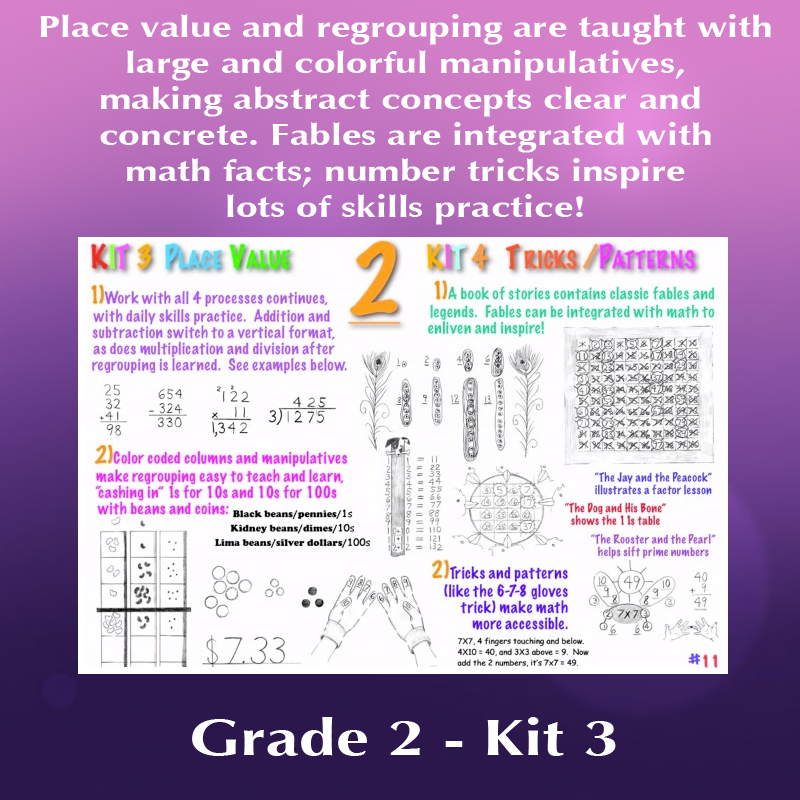 KIT 3: PLACE VALUE uses hands-on materials and manipulatives to introduce and reinforce concepts of regrouping in addition and subtraction. Numbers are physically “carried” or “borrowed” in a dynamic way, on colorful and oversized columns that are placed side-by-side on the floor. Otherwise abstract concepts are made concrete and doable! 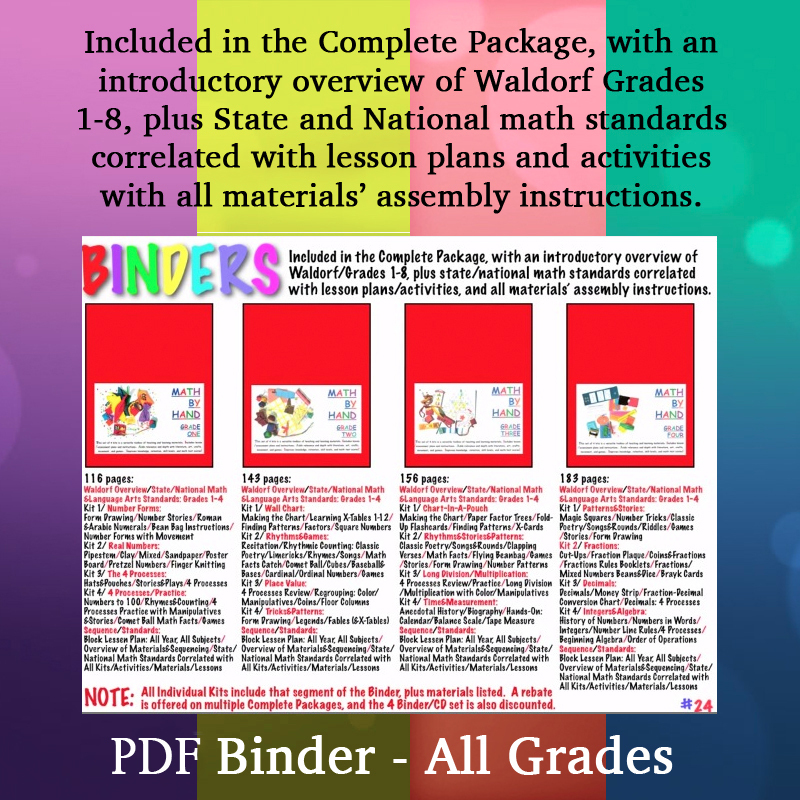 To help facilitate the transition to written work, manipulatives and smaller, color-coded columns are provided.